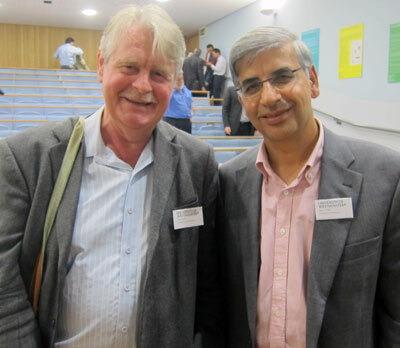 During the week 9-13 September 2013, SASNET deputy director Lars Eklund visited universities in London, networking with researchers working on South Asia related projects. The universities included Westminster University, London School of Economics and Political Science, and SOAS at University of London. 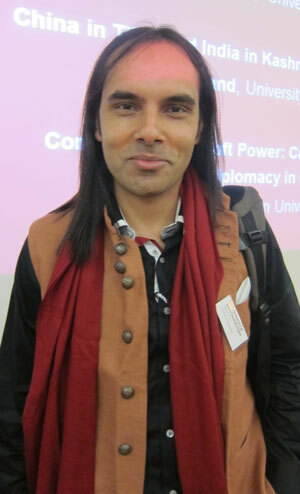 Lars first went to Westminster University, to attend an international conference entitled ‘Communicating Soft Power: Contrasting Perspectives from India and China’, on 9-10 September. It was organised by Professor Daya Thussu from the India Media Centre at the university’s Communication and Media Research Institute (CAMRI). This two-day international conference explored competing and contrasting approaches to soft power in India and China, the world’s two fastest growing economies, whose rise is set to reconfigure global power equations in a multi-polar world. More information about the conference. Among the interesting presentations from the first conference day, Lars appreciated the keynote plenary speech by Professor Rachel Dwyer from SOAS, University of London, who spoke about ”Bollywood’s new Avatar: Hindi Cinema and India‘s Soft Power”, on how Bollywood films have served Indian interests abroad, beginning with Raj Kapoor’s 1951 film ”Awaara” till today. At the reception after the first day’s sessions, Lars also met Prof. Rachel Dwyer’s husband, Michael Dwyer, who runs Hurst & Co. Publishing. Lars and Michael have known each other for more than 20 years, from the time Lars was the editor of the Swedish language magazine SYDASIEN, and sold books from Hurst to its subscribers, but they had never met in person until now. (Rachel and Michael Dwyer on photo to the right). Lars was also invited to visit Hurst Publishing office at Great Russel Street (in front of British Museum) a few days later, and so he did, meeting the staff and studying the excellent books they manufacture, many of them interesting scholarly works on Afghanistan, Pakistan, India and Sri Lanka. Go for their smmer/autumn catalogue 2013. Another keynote plenary speech on the second day of the conference was given by Dr. Dibyesh Anand (photo to the left), Associate Professor at Westminster University. He gave an excellent lecture on ”China in Tibet and India in Kashmir: Myths of Soft Power” in which he pointed out the similarities in how the Chinese and Indian governments pretend that normalcy and peace rule in their respective troubled areas, whereas in reality the control rests on occupation and heavy military presence – hard power. Lars Eklund with the conference convener, Prof. Daya Thussu. Another panel session focused on ”Bollywood as Soft Power”, and here by surprise Lars met a Sweden based researcher of Indian origin, Charu Uppal (photo to the left), who is working at the Department of Media and Communication Studies (MKV), Faculty of Economics, Communication and IT at Karlstad University since two years back. 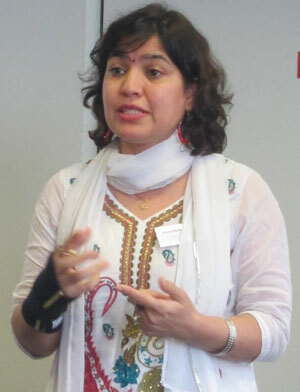 Charu who previously lived in Fiji, and worked at the University of Southern Pacific, now presented a paper entitled ”Bollystan: An Expanding State (of Mind)”, in which she claims that the international spread of Bollywood films to a large extent is connected to the fact that there are now 25 million people of Indian origin living in diaspora in 110 countries all over the world. In a concluding keynote roundtable session, the conference convener Daya Thussu and a number of high profile representatives for the UK Prime Minister’s office, the British Council, the Indian High Commission, and some university people, discussed the concept of Soft Power in an international context. The session was chaired by legendary Indian journalist Sunanda K Datta-Ray (photo), has been a leading newspaperman for half a century. Among many other assignments, he has been editor of The Statesman published from Kolkata and New Delhi. 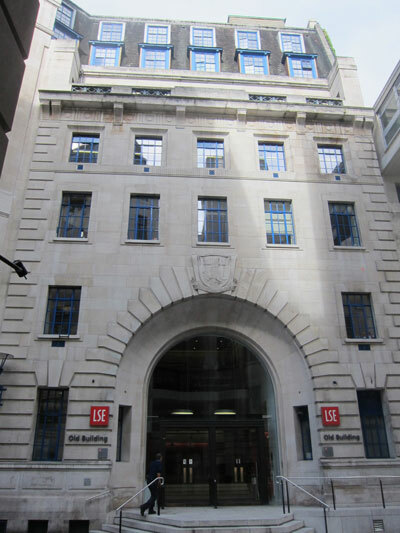 On Wednesday 11 September, Lars visited London School of Economics (LSE), a vibrant research institution with many researchers working on South Asia projects. He was hosted by Professor David Lewis from the Department of Social Policy, and Dr. Mukulika Bannerjee at the Department of Anthropology. Prof. Lewis held a SASNET seminar on ”Bangladesh: Politics, Economy and Civil Society 40 years after Liberation” at Lund University in December 2011. 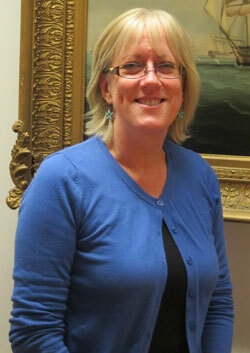 Prof. Lewis was recently appointed Head of the Dept. 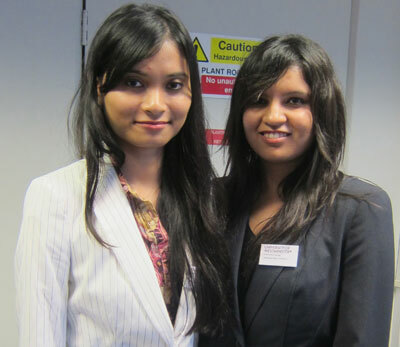 of Social Policy, which is one of the largest departments within LSE. In his research, he specialises in development policy and management, with a particular interest in Non-Governmental Organisations and civil society, as well as rural development, organisational issues in development agencies, and anthropological approaches to development. His work has mainly had a geographical focus on Bangladesh. More information. Lars with Dr. Mukulika Bannerjee, Dept. of Anthropology, and Professor David Lewis, Head of Dept. of Social Policy, LSE. Dr. Shakuntala Banaji, Dept. of Media and Communications. Dr. Rajesh Venugopal, Dept. of International Development. Dr. Bannerjee is the key person behind an initiative to launch a South Asia Centre at LSE from January 2014, and therefore she had a special interest to discuss networking experiences with Lars Eklund. 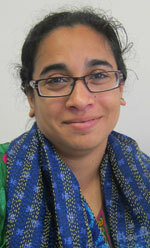 Researchwise, Dr. Bannerjee is interested in the ethnographic study of democracy. For the past several years, she has conducted sustained research based in two villages in the Indian state of West Bengal, exploring the reasons behind the enthusiastic support for democratic ideals among largely illiterate, Muslim, paddy cultivators that also reflects a national trend. More information about her research. 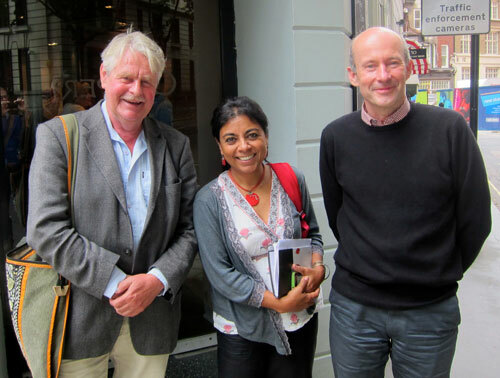 Prof. Lewis also introduced Lars to other researchers at LSE working on South Asia projects. One of them was Dr. Shakuntala Banaji, Lecturer and Programme Director for the Masters programme in Media, Communication & Development. Her research interests include the socio-political contexts of audiences, the meaning, history and textual study of cinema, particularly South Asian media and Bollywood films. Currently, she is working on a book arising from her research with young people and online civic producers across Europe, examining technological tools for participation and links between online and offline civic participation, motivation, interactivity, context as well as National institutional responses to young people’s engagement. More information about her research. Finally, Lars met Dr. Rajesh Venugopal, Lecturer at the Department of International Development (ID), whose primary research interests are in the political sociology of development and violent conflict in South Asia, especially Sri Lanka. He has contact with Dr. Camilla Orjuela at School of Global Studies, University of Gothenburg, another eminentscholar focusing on Sri Lanka. On 12th September, Lars visited the British Library and the Endangered Archives Programme (EAP), a programme being funded by Arcadia (formerly known as the Lisbet Rausing Charitable Fund), that contributes to the preservation of archival material worldwide that is in danger of destruction, neglect or physical deterioration, not the least in South Asia. Lars was hosted by Cathy Collins, Grants Administrator for EAP. Approximately 30 projects in Bhutan, India and Nepal are currently supported by the Endangered Archives Programme. They include projects on digital documentation of manuscripts at Drametse and Ogyen Choling monasteries in Bhutan (photo from Drametse); a project on Locating and surveying early religious and related records in Mizoram; a project on Archiving texts in the Sylhet Nagri script; and a project to Retrieve two major and endangered newspapers: Jugantar and Amrita Bazar Patrika in Kolkata. More information about the South Asian projects. 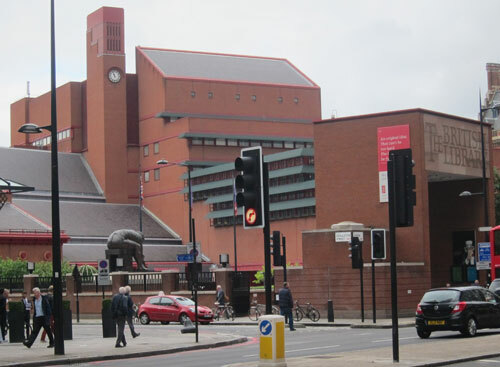 Before leaving the place, Lars was taken for a tour around the British Library, guided by Cathy Collins. It was opened in 1998, and is the largest public building constructed in the UK during the 20th century. Its collection includes well over 150 million items, treasures include the famous Magna Carta, and Leonardo da Vinci’s Notebook. The Library also hosts temporary exhibitions of high quality. When Lars visited, an exhibition entitled ”Propaganda: Power and Persuasion” was on display, an exhibition exploring international state propaganda from the 20th and 21st centuries. More information. 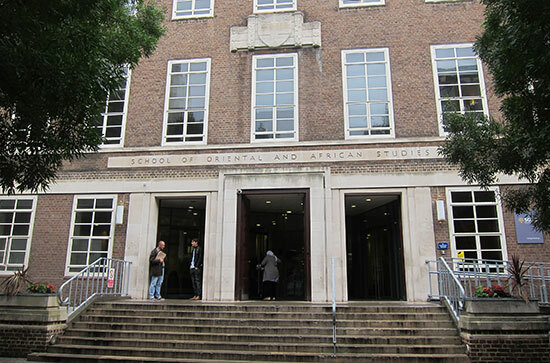 On Friday 13th September, final day of Lars London visit, was devoted to the School of Oriental and African Studies (SOAS) at University of London, one of most important research environments when it comes to South Asia related research in Europe. Lars was hosted by Professor Michael Hutt, Professor of Nepali and Himalayan Studies, and Chair for the Centre of South Asian Studies at SOAS. 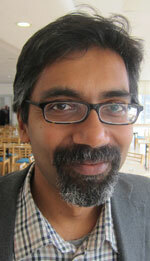 Prof. Hutt was one of the keynote speakers at SASNET’s 2013 South Asia Symposium at Lund University in April 2013. His research focuses on the study of modern and contemporary Nepali literature. He has also published on Nepali politics, Nepali art and architecture, censorship in the Nepali print media, and the Bhutanese refugee issue. At SOAS, Lars ambition was to meet several researchers within its varied departmental fields such as Economics, Development Studies, History, Linguistics, Politics and Religious Studies. Unfortunately, the semester at SOAS starts rather late in September, and therefore few of the researchers Lars had hoped to meet were actually in their offices. A few of the missing SOASresearchers had actually informed in beforehand that they were supposed to travel to Lund University during the fall 2013, for example Professor Naila Kabeer who had been invited as keynote speaker at Lund University’s Development Research Day on 19th September (Lars met her then, see the report on this event). Another SOAS person to come to Lund later this year is PhD candidate Farooq Sulehria, who is also a journalist writing for the Swedish weekly Internationalen. Farooq will come to Lund on 14th November to participate in a SASNET seminar on Kashmir. 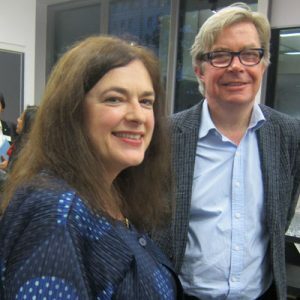 Lars was however invited by Professor Hutt to meet informally a couple of his colleagues, including Jane Savory, Office Manager for the Centres & Programmes Office, that oversees the administration of the seven Regional Centres within SOAS – the Centre of South Asian Studies being one of them. Michael and Jane came with the news that the Centre will be converted into an Institute of South Asian Studies from January 2014. 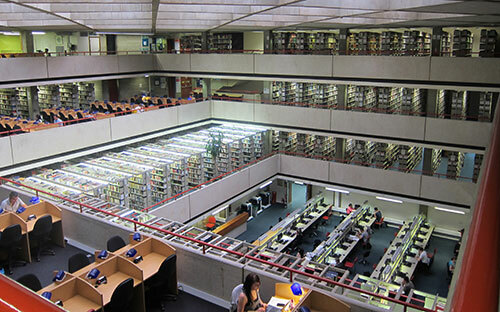 After the meting, Prof. Hutt showed Lars around SOAS, and especially the impressive library in many floors, see photo. By chance, an academic visitor from the Centre for Modern Indian Studies (CeMIS) at Göttingen University, Germany, had also come to SOAS on this day. She was Dr. Iris Karakus, and she took the opportunity to inform SASNET about the equally active research environment that exists at Göttingen. CeMIS is connected in a network with a large number of high quality Indian universities, such as University of Delhi, School of Social Sciences at JNU, Tata Institute of Social Sciences (TISS), Gokhale Institute, and University of Pune. As it happened, before leaving London Lars also had an opportunity to meet SOAS PhD Candidate Najia Mukhtar (photo), representative of the recently formed Muslim South Asia Research Forum (MUSA), a new cross-disciplinary initiative focused on bringing together PhD students and early career researchers working on any aspect of Muslim societies in the countries of South Asia. They met at Paddington Station and Lars was given a brief update of the MUSA activities.